Magnum Energy is a leading manufacturer of premium inverter/chargers for Mobile and Renewable Energy applications. 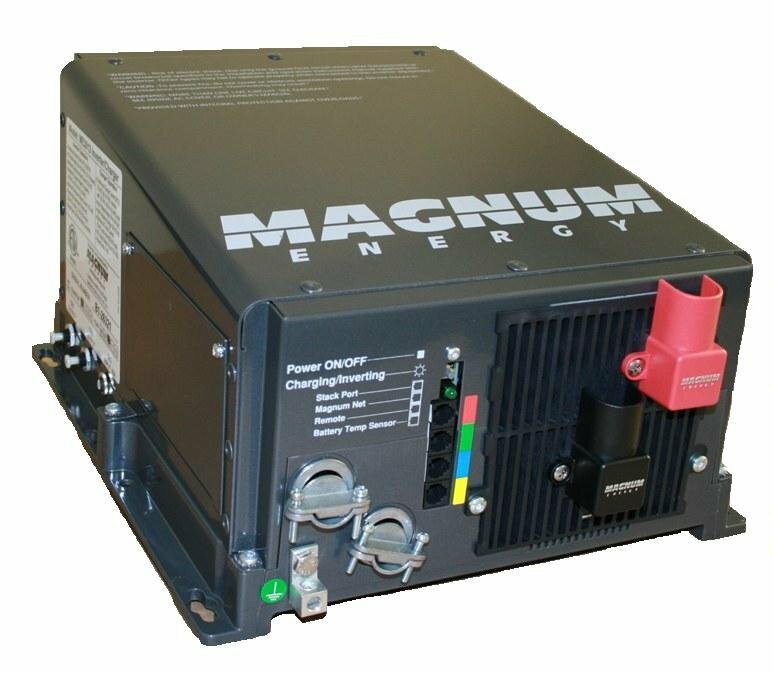 With more than 70 years of combined inverter manufacturing and design experience, Magnum Energy has used this experience to develop some of the industry's most reliable and advanced inverter/chargers. Magnum Energy ME-AGS-N Automatic Generator Start Module for Network Versions, STATUS Indicator, TE..
type of meter for your ..
Magnum Energy ME2012 ME-Series 2000W 12VDC Modified Sine Inverter/100 Amp PFC Charger, Easy-to-ins..
Magnum Energy ME2512 ME Series 2500W 12VDC Modified Sine Inverter/120 Amp PFC Charger, Easy-to-ins.. The ME Series Inverter/Charger from Magnum Energy is a new generation inverter designed specifically..
Magnum Energy MS2012-20B MS-Series 2000W 12VDC Pure Sine Inverter/100 Amp PFC Charger/2-20A AC Bre..
Magnum Energy MS2812 MS Series 2800W 12V Pure Sine Inverter/125 Amp PFC Charger, Safe and reliable.. Features * Pure sine wave: Power your T.V.s, stereos, plasma screens, and other sensitive electr..
Magnum Energy ME-ARC50 Advanced Remote Control with 50ft Cable - The ME-ARC is simple to use, yet .. The ME-RC Remote Control communicates with the inverter to easily operate and monitor your inverter ..